There are several articles published online about the health problems caused by pedicures. Most of these can be traced back to a lack of hygiene. Clients are now extra careful about the spa or salon they choose. They don’t want to contract infections but they want to get a pedicure and relax. With that in mind, most of them would visit a salon that has new pedicure chairs than those that have very old ones. They rightfully believe that the risk of infections and other such problems is higher in older chairs. Very old spa chairs didn’t even have a massage feature. Younger chairs have a vibration massage system that’s not really a comfortable massage. New chairs, on the other hand, administer shiatsu massage that’s much more effective. Moreover, new chairs also come with features like pipeless whirlpool system, simple installation, different spray setting, etc. These advantages might not seem much at first, but they can definitely make life more convenient for the spa technician. Naturally, customers will be more attracted to chairs that offer full shiatsu massage than anything else. Let’s be frank, looks do play a very important role in the in the spa business. There is so much competition out there that spas simply cannot afford to use old, worn-down chairs anymore. It’s just a better idea to upgrade your chairs. New pedicure chairs will impress the clients and they’ll be more willing to come to your spa to test them out. 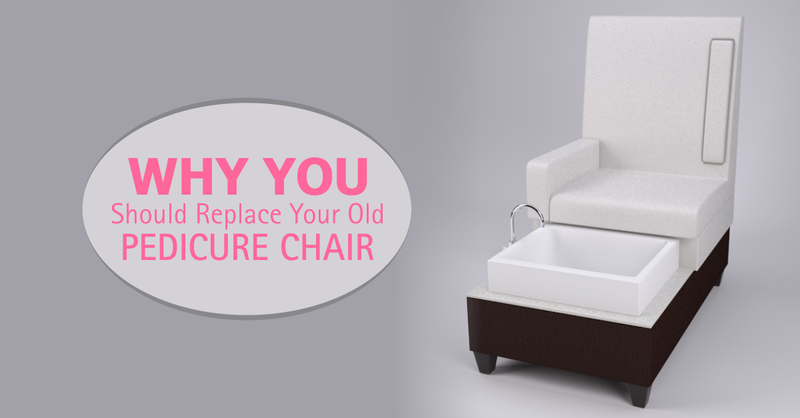 Hygiene, function, and looks matter in the spa business, which is why you should purchase a new spa chair instead of clinging to your old one.